The Ice Boxx Deluxe features a two-piece molded base, leg levelers, high tensile rods, 1" cabinet thickness, 5-1/2" apron, steel supported men and a 2:1 turn ratio. Includes 3 pucks, 2 additional short-stick men and wrench/socket. 52"L x 36"W x 48"H and weighs 205 pounds. 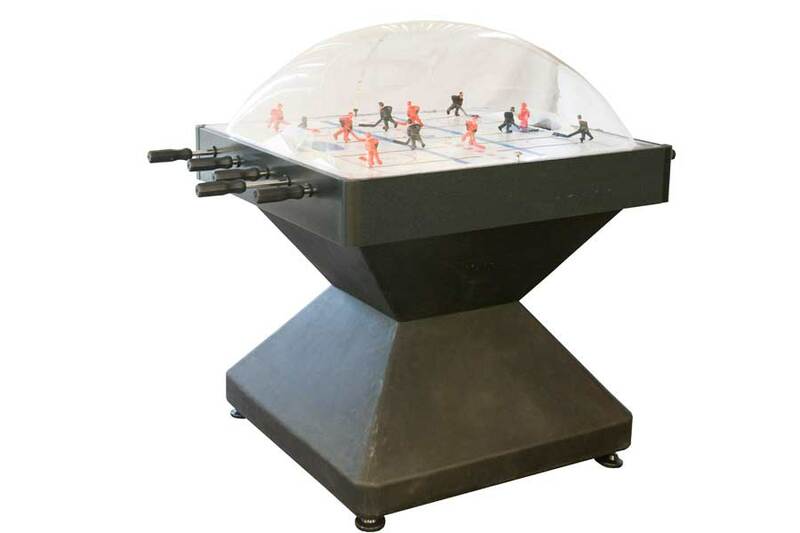 The Ice Boxx Deluxe is a commercial-grade dome (or bubble) hockey made for your home. This is the game you remember from your childhood, only in solid black for a sleeker look. This classic game will have everyone lining up to play and a full-on tournament will keep everyone entertained for hours.